Ideal for unclean ground the Schmeiser 4 Bar Till An' Pak features 4" spaced S-Tines. Designed for maximum mobility, the Schmeiser 2 Bar Fold-Up Till An' Bedder provides an expanded working width that folds for easy transportation. Ideal for trash free clean ground the Schmeiser 2 Bar Till An' Pak features 6" spaced S-Tines. 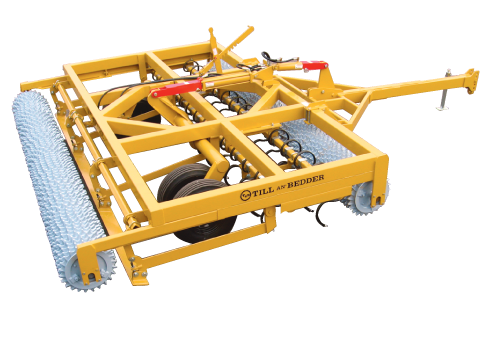 Available in widths up to 30' the TBF4 Series Till An' Bedder is the ultimate seed bed machine.